Pinball FX2: Plants Vs. Zombies DLC – A Critical Hit! Xbox Live Arcade’s Pinball FX2 continues to amaze me in ways far beyond the simple fact that it is one of the greatest pinball video games ever created. The Marvel-themed table sets are both fun to play and offer and interesting look into bits and pieces of the lore of the comic books, and the one-off tables are unique enough to play on merit alone. More recently a new table has been released, this time sporting a theme based on the recently-popular, addictive tower defense game Plants Vs. Zombies. An unlikely combo, yes, but it actually works surprisingly well when placed on a pinball table. For anyone not familiar with PvZ – and in that case, what have you been doing? – you essentially plant, erm, plants on a grid, and use the plants’ different abilities to protect your house from the oncoming horde of zombies. Its one of those simple-yet-addicting games that anyone can pick up and enjoy. So, how exactly does this work alongside pinball? It’s actually pretty straightforward. 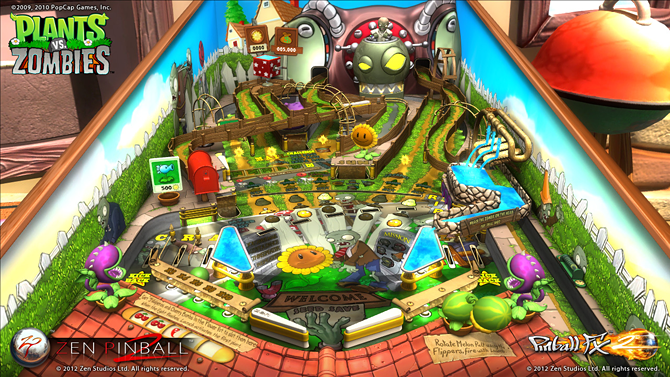 Both pinball and PvZ utilize lanes within the basic structure of the game. 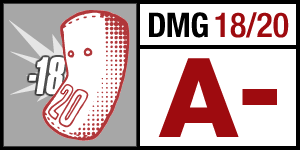 Periodically, zombies will pop up in different lanes on the table – just like in the game – and you need to use the pea-colored pinball to knock them down. You’ll find different PvZ-themed gameplay elements spread throughout, like collecting different types of seeds to make plants, or buying goods from the back of a crazy hobo’s van. 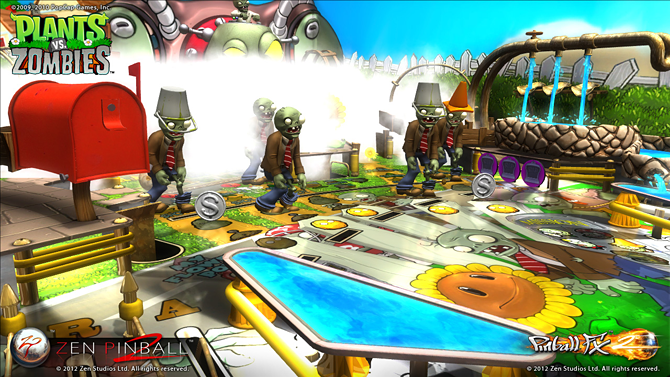 The Plants Vs. Zombies table still manages to be unique, despite being Pinball FX 2’s… number 20-something table? It blends elements from Plants Vs. Zombies in, and yet still feels like a genuine pinball table. I definitely enjoyed it, and people who may be bigger PvZ fans, or even bigger pinball fans than I will definitely have a blast with it.